Today is the day when I get in touch with my Puerto Rican roots. This cookie, this breathtaking, delicious, mouthwatering cookie is called Mantecaditos or Polvorones in Spanish. Polvorones are my favorite cookies, no question about it, and I’ll tell you why. This cookie tastes like friggin’ ice cream. It practically melts in your mouth and you cannot have just one, two to three cookies are a must. As a female and baker who has been spoiled for years with this delicacy, it is my duty to supply the rest of the world with its recipe. You’re welcome, world. You are welcome. 1. First things first, preheat the oven like it has never been preheated before. Allure it with your graces by turning the knob or pushing the button to 375 degrees. You got this. 2. 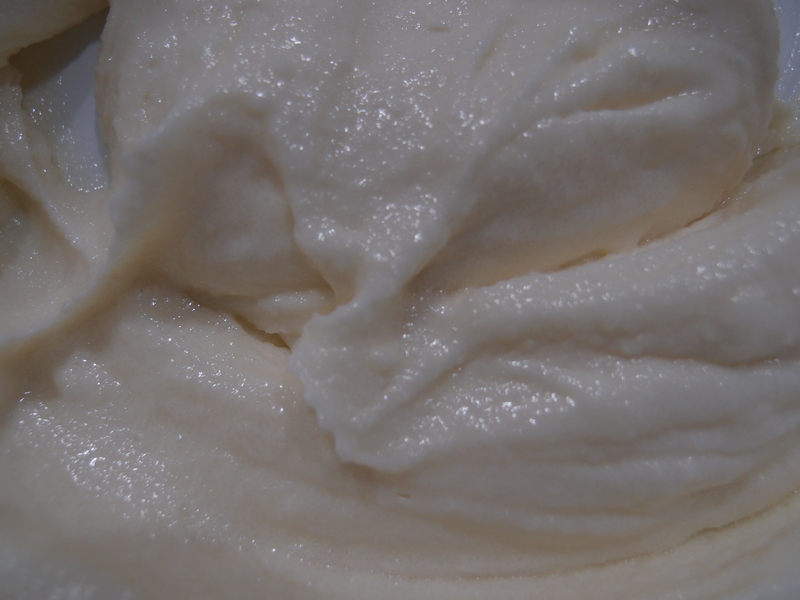 In a large bowl, mix in your butter (at room temperature) with the crisco, vanilla, and sugar. You want to make sure your mixture is creamy. No lumps allowed to the cookie party! 3. Sift in your flour, one half cup at a time and the milk. Then use your hands to mold the cookie dough into a large ball. 4. Grease and flour your baking sheet. No one likes burnt or broken cookies. No one. 5. Now to the fun part, take about a teaspoonful of cookie dough and shape it into a ball. 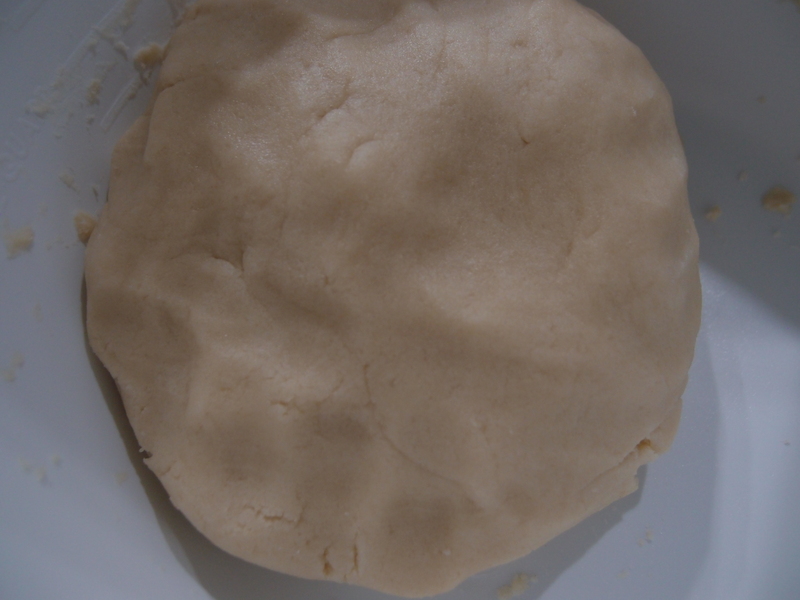 Place the cookie dough ball on your greased baking sheet then firmly press your thumb down the center of the cookie. 6. Bake your cookies for 15-18 minutes or until golden. 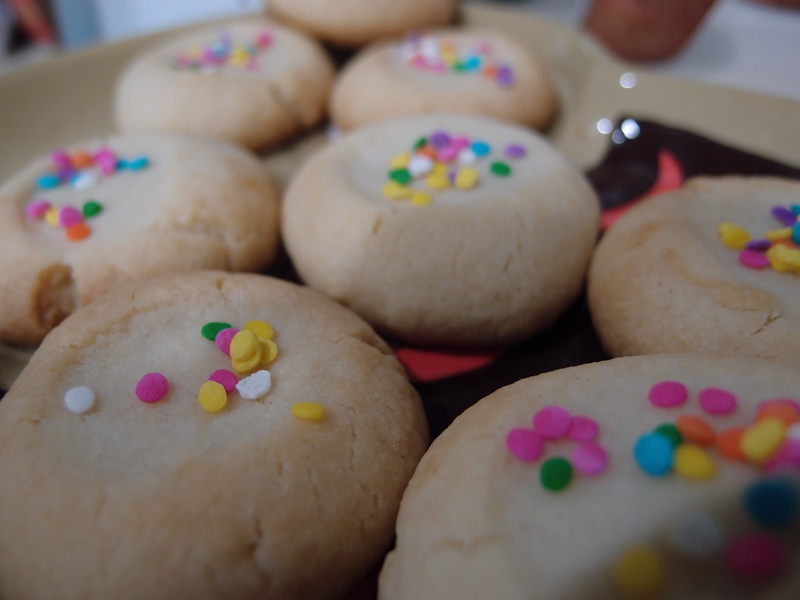 As soon as you take out your cookies of the oven add your sprinkles or colored sugar into the center. The cookies must be hot for the sprinkles to stick. Make them pretty. 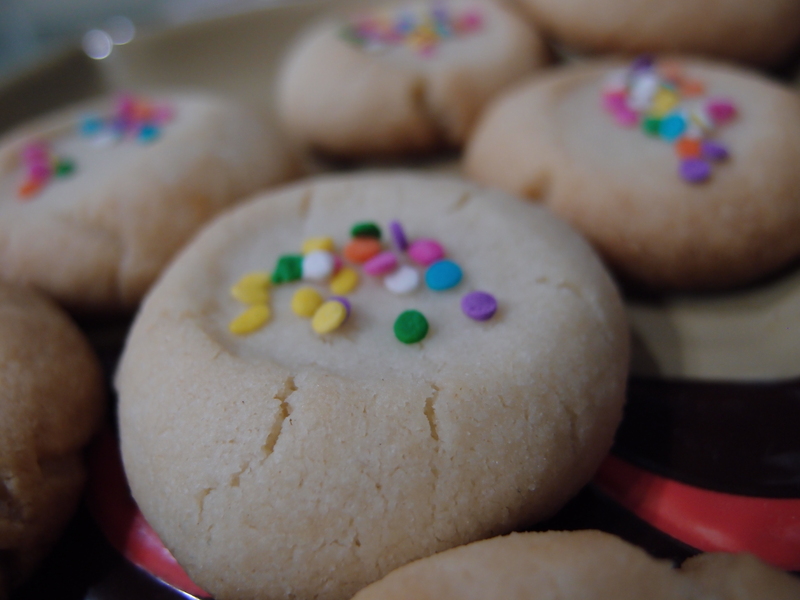 Think of it this way, you like to look pretty when you go out, well so do these cookies! Love the way you press down on the cookie with your finger!!! Thanks, I loved doing it. 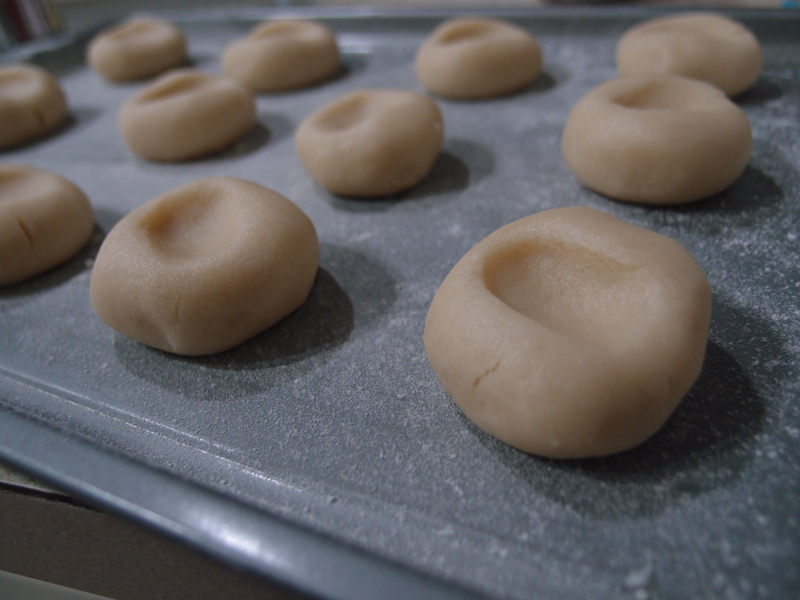 do you know any of the history behind Puerto Rican Polvorones? These sound so good! Do you have a substitution for the Crisco, and does Gluten Free flour work OK for this recipe? I’m not too sure. 🙁 I haven’t done anything to this recipe. I always use the same ingredients for it. Yes it is! 🙂 Sorry about that. It is 🙂 1/2 a Cup! Hi! How many cookies does one batch make? Im going somewhere else to bake and I don’t know if I’ll meed to double the recipie. I want to say you’ll get about 20 cookies pero batch it all depends on how big you make your cookies. Is the crisco necessary? If so, what is a good substitute? I’ve heard of people using margarine but I can’t guarantee the cookies will turn out the same. You can use either! I use whatever I have in the fridge. Super late good luck!